Prayers for the People of Egypt! In Memorium – Dr. Martin Luther King Jr.
Today in the United States is the National Holiday of the Reverend Dr. Martin Luther King Jr, (which falls every year on the first Monday after his birthday, January 15, 1929). I do not have the words to do justice to his life and work, and so I will quote only two paragraphs that may help explain why he is one of my heroes. God bless his soul and memory, and may we as a nation learn from his example. Amen! It is written that the great Sufi mystic ibn Arabi was a studious and talented young man, already infused with mysticism through his father, and also through his uncles on both sides of his family. It is also related in al-Futuhat al-Makkiyya, that he married a saintly woman named Maryam, the daughter of Muhammad b. Abdun, a man of great standing and influence. This is a true story that happened many years ago. Mr. Niktab, the Shaykh of Shaykhs, was making his yearly trip to the US in order to visit the many khaniqahs, initiate new darvishes, and bring through his person the love of the Master, Dr. Javad Nurbakhsh of the Nimatullahi Sufi Order. 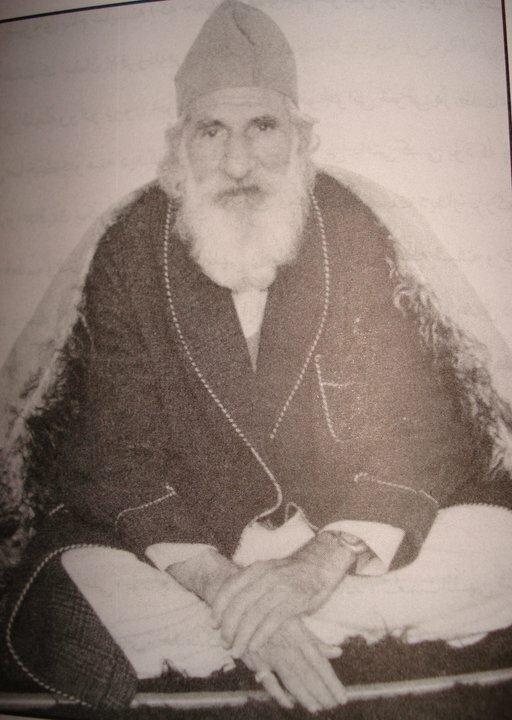 At one khaniqah, he participated in the Sunday zekr (one of the twice weekly meetings during which the dervishes sit in a circle in a darkened room and meditate, sometimes silently, sometimes to music). A few of the darvishes brought their children with them to meet and receive the blessings of the Shaykh, and they sat quietly in the next room with their sons and daughters. Upon this occasion, as the story is told, a three year-old boy was sitting with his mother behind the curtain that separates the tea room from the meeting room. The boy peeked through the curtain, then suddenly got up and ran into the zekr,. Before his mother could get up to fetch him, he came running back beside her. “How come the people have little lights coming out of their heads, but Mr. Niktab’s light goes all the way to the ceiling?” the boy asked. The mother looked at her son in astonishment and quickly glanced through the curtain. She did not see the lights, but she hugged her son and kissed his cheek. “Alhamdulillah!” she whispered, and praised God for the unclouded eyes of children. “A giver of maintenance to the widows and the poor is like a giver in the way of God, an utterer of prayers all night, and fasting during the day.” – a saying of the Prophet (SAW), from Bukhari. There is truly no better way to begin the New Year than with an act of love. And God blesses no act greater than the loving-kindness of charity to those in dire need, the sick, the widow, and the orphan. I have written before about my friend Dr. Maithri Goonetilleke, and his work in Swaziland among HIV/AIDS patients. Swaziland is a country of widows, a land of orphans. Through the foundation he started, Possible Dreams International, his team helps many people not only receive drugs and treatment for AIDS and all manner of ailments, but also funds basic education, provides clean drinking water and builds houses for the sick and poor. They are our brothers and sisters, mothers and fathers, our sons and daughters. “Gogo Ida Gama turns seventy this year. Her house, made of mud, is falling down. When it rains or the withering southern wind begins to blow, the wall above her bed, shifts and crumbles. She can barely walk. She has no food. She is always cold. Read the rest of her story here. And then go to the Possible Dreams International website and click the Donate button. PDI is urgently trying to raise money to buy a truck, so they can continue to visit the rural communities they visit 365 days a year. Give what you can! Any amount would provide the blessing of what we take for granted every day, the basic necessities of food and clean water. With love and blessings for a wonderful New Year, from Maithri, and from me. You are currently browsing the Darvish blog archives for January, 2011.